Hyundai Motor Company, the world’s fastest growing automotive manufacturer, has announced best ever sales figures for the Middle East region in 2011. The company showed a 9% increase in total sales in comparison to 2010, selling a record 283,953 vehicles. Among the GCC and Levant countries, the Korean manufacturer’s impressive achievements were led by Qatar, which reported the biggest increase by a single country with sales up by 93%. They were followed by Kuwait with 76% growth and Lebanon, which registered a 35% rise in sales. United Arab Emirates saw sales leap by 29%. There was significant growth in Saudi Arabia, the company’s single biggest market in the region, which experienced an 18% rise in sales to over 106,000 units. Bahrain and Yemen also registered increased sales, while Syria, Jordan and Oman remain Hyundai’s biggest volume markets after Saudi Arabia. 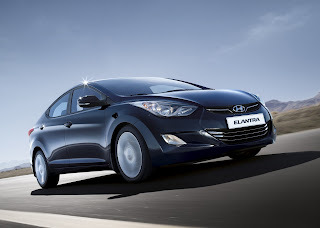 When it came to the buyer’s choice of model, Hyundai’s record-breaking 2011 sales were led by the Elantra. With the stylish, hi-tech new generation Elantra now on sale in the region, total sales of this compact class car across the GCC and Levant reached 72,980 units. Second biggest seller was the ever-popular Accent, with total sales of 60,322 units. 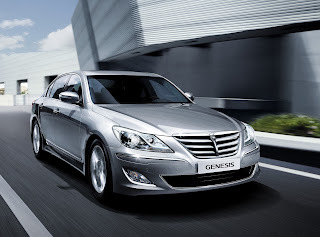 The Centennial and Genesis represent Hyundai’s line-up of luxury models, embodying the company’s new Modern Premium approach. Combined sales of these two models in 2011 were up a massive 90%, clearly demonstrating growing consumer interest in the company’s high-end cars. Particularly key to the company’s performance in the GCC countries, Hyundai’s SUV line-up, the Tucson, Santa Fe and Veracruz, also performed well, with sales up 4%.